A new report claims that 30 percent of "active gamers" never pay for their games, relying instead on free games and demos to keep their habit fed. It's a generally-accepted fact that a good gaming habit is an expensive beast but according to a report by analysis firm Newzoo, nearly one-third of gamers manage to keep themselves entertained strictly by way of free games. 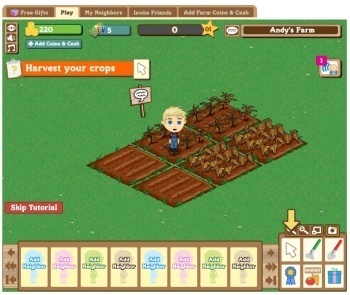 And not just on the PC, either: Free online Flash games and social games like Farmville and Mafia Wars are obviously a big part of that market segment but console game demos and free iPhone releases also figure prominently. The "free gaming boom" began in the wake of the global recession but appears to be holding strong despite the gradual return of economic stability. Money is still being made, of course, through the purchase of gaming hardware, online subscriptions and advertising support; it's also possible (and even likely) that some "free gamers" take advantage of microtransaction options available in many online games today. "Free" can actually be a very lucrative pricing model for mainstream and casual game studios alike: Zynga generates hundreds of millions with its no-charge online offerings and in February, Turbine reported that revenues for Dungeons & Dragons Online: Eberron Unlimited had jumped 500 percent since the game transitioned from conventional subscriptions to a free-to-play model.